We were mid-dream holiday at the end of December, so I didn’t summarise my end-of-year reading at the time. But I read some great books in December so I’m going to dredge my memory for my thoughts on each of them below. Also, I’ve already picked my top books of the year, but I love to dissect my annual reading stats, so here goes: I read 78 books in 2017, starting with The Girl With All the Gifts by M R Carey and finishing with The Trouble with Goats and Sheep by Joanna Cannon – which were both pretty good. Of those books, 35 were by men, 42 by women, and one by multiple authors of both genders. 12 were works in translation, which just about hit my target of one per month, though I’d still like to do better. Similarly, I read 8 books from my Classics Club list, which isn’t quite on target so I’m going to have to pick up the rate for the next two years. There are already so many things I could tell you about our holiday, but as it’s Boxing Day, for now I’ll tell you all about our Christmas. 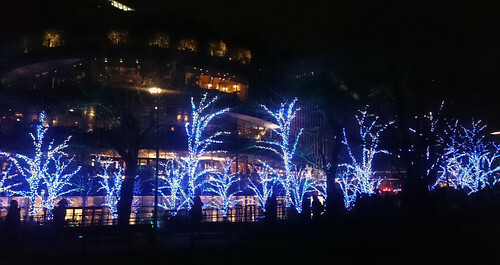 We were expecting a fairly low-key Christmas, and in most of Japan, indeed much of Tokyo, that would indeed be possible. But there are some neighbourhoods that go all out. 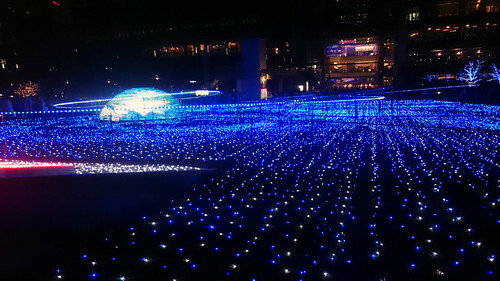 At Tokyo Midtown (a giant complex of shops, restaurants, museums, hotels and park) we saw the best Christmas light display I have ever seen – and apparently it’s not the most impressive one in Tokyo. But it is one of the few that is definitely Christmas-themed – others are more for New Year. 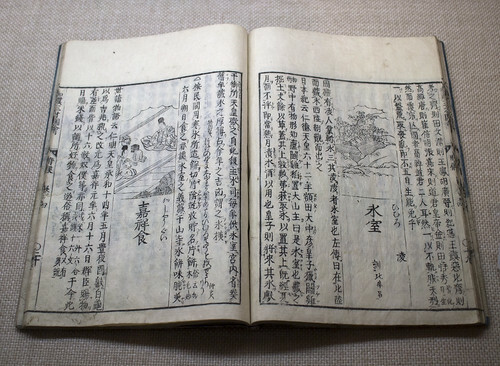 This is a classic novel about a man who travels from Tokyo to a small hot spring town in the mountains in December. It’s a short book filled with beautiful descriptions of people, scenery and everyday life. Shimamura’s thoughts and intentions are revealed slowly. The novel opens with him on the train, staring at the reflection in the window of an attractive woman sat near him. Kawabata goes into great detail of the way the reflected image changes in response to the changing light and scenery outside. It’s a mark of the story to follow, this attention to the specifics of small moments. I’ve read some really good books this year. And some mediocre ones. But now is the time to sing the praises of the very best finds of 2017. It’s interesting to see the trends in what I have enjoyed the most. In reverse order, here are my top five books of those I have read this year. Just a quick post to say that my review of Apollo by Zack Scott has been published over at Physics World. It’s a beautiful book about the Apollo space programme, largely made up of illustrations and infographics. To see what else I thought, pop on over to Physics World. While you’re at it, check out Physics World‘s top 10 books of 2017, revealed today. They’re the top popular-science books that the editors felt would appeal to physicists. I’m keen to read several of them (and I’m not a physicist, even if I do work with a bunch of them! ).